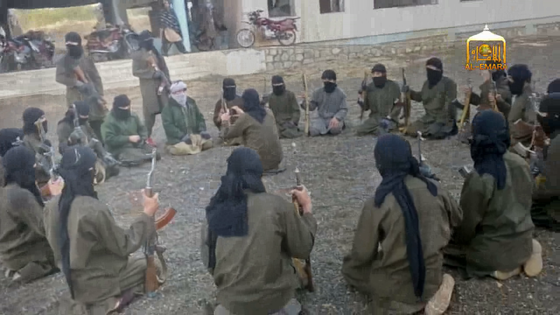 Just one week after overrunning a district in the northern province of Jawzjan, the Afghan Taliban are now touting the existence of a training camp in neighboring Faryab province. 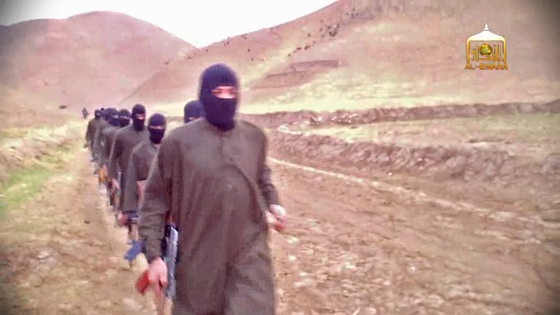 In the video, Taliban fighters are shown undergoing weapons training. 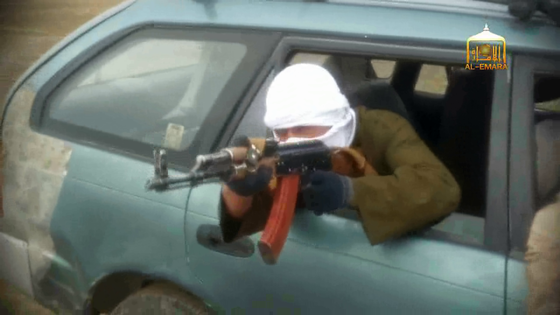 Some fighters are instructed in firing rifles from a moving vehicle, a tactic commonly used by the Taliban in assassinations of government officials. 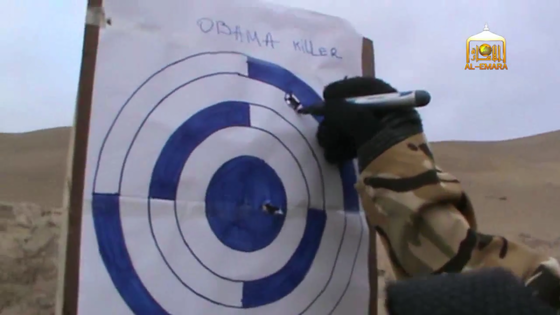 One target at the range used by the Taliban is labeled “Obama killer.” A Taliban commander who is said to be the group’s senior trainer for the province is shown on the video. 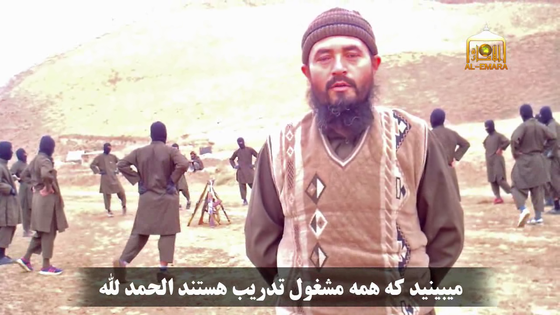 Qari Sahib Salahuddin, who is also known as Ayyubi and is described as “the Jihadi in-charge of the province,” is interviewed at the end of the video. 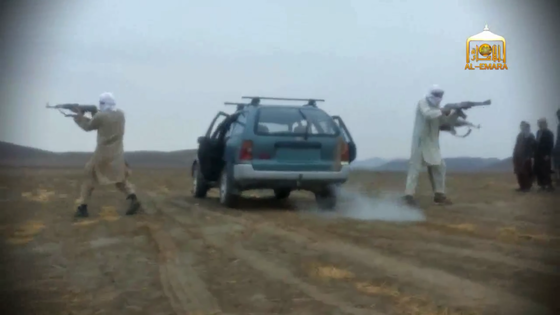 The video purports to show tribal elders and policemen meeting with Taliban officials, attacks against Afghan security forces, and policemen who have been captured by the Taliban. In one scene, a Taliban religious official gives a speech to hundreds of Taliban fighters before they depart for an operation. The Taliban and the allied Islamic Movement of Uzbekistan (IMU) which has integrated its forces in the Taliban’s command structure in the Afghan north, maintain a strong presence in the provinces of Badakhshan, Baghlan, Balkh, Faryab, Jawzjan, Kunduz, Samangan, Sar-i-Pul, and Takhar, and have established suicide training camps in the north over the past several years. ISAF identified the presence of camps in Sar-i-Pul and Samangan province. In March 2011, an ISAF special operations team captured an IMU commander who ran camps in Samangan. The Taliban have made inroads in Faryab despite the relatively small Pashtun population there; more than 80 percent of the population in the province is Turkmen or Uzbek, while Pashtuns make up just over 10 percent. One week before the Taliban released the video of their operations in Faryab, the jihadist group stormed the district of Khamyab in Jawzjan and forced Afghan security personnel to flee. 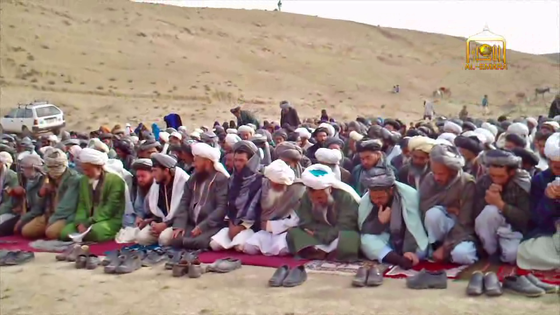 The loss of Khamyab to the Taliban was confirmed by Fakir Muhammad Jawzjani, the provincial chief of police. “Our soldiers went there to take on the Taliban in Khamyab. There was fighting against the Taliban, but our forces were compelled to withdraw. When the soldiers were returning to [the provincial capital] Sheberghan, they came across the Taliban, who were waiting for them, and the soldiers came under attack again,” Jawzjani told RFE/RL. 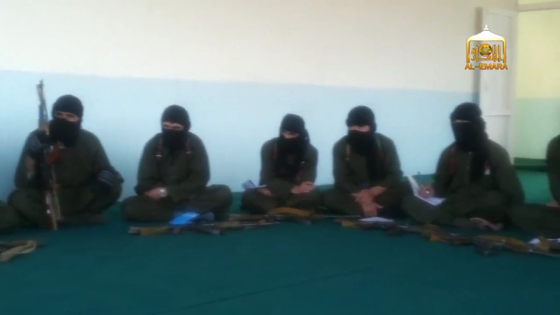 According to the commander of a local arbaki, or tribal militia, “the Taliban had brought up extra fighters from the Akcha district for the assault on Khamyab.” This may mean that the Taliban control Akcha as well, but it is unclear. The Taliban have stepped up attacks against Afghan and Coalition forces in the capital of Kabul and the provinces as the US and allied forces withdraw the bulk of their forces and have ended the combat mission. As part of their effort to regain control of the country, the Taliban have seized control of several districts in the provinces. Some of these men look like ethnic Uzbeks. So sadly this concludes that 13-years of US/Nato occupation did not bear any fruit. That’s because only the people which permanently live there can actually change things – they have to WANT to change, to progress, to live a better life. Some Afghans actually do want that, but a lot of other Afghans also just want a life of illiteracy and tribalism. So be it. That is literally the life they chose, so they can have fun for all I care. If Joe Blow won’t listen to people that he needs to start exercising more or he’ll have health problems, then how is it remotely possible that an ancient culture would accept change and move on with their lives? They won’t. They don’t want to.